Prof. Dr. Andreas Schreyer is the Director for Science of the European Spallation Source (ESS) in Lund, Sweden since 2016. 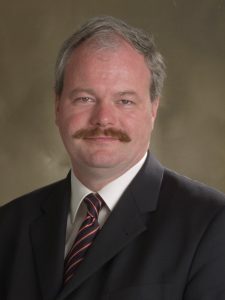 Before he joined ESS, he was head of the Institute of Materials Research at the Helmholtz-Zentrum Geesthacht, Germany and director of the German Engineering Materials Science Center (GEMS). He also was the speaker of the Helmholtz research program “Research with Photons, Neutrons, and Ions” (PNI) coordinating the research with these three probes at all major large scale facilities in Germany. Prof. Schreyer teaches at Hamburg University since 2001. He received his venia legendi (professoral degree) in 2000 and his Ph.D in 1994 from the Ruhr-University Bochum. He was awarded a Heisenberg stipend of the Deutsche Forschungsgemeinschaft in 2000, a Feodor Lynen stipend of the Alexander von Humboldt foundation in 1998 and the prize for the best Ph.D. thesis of the Ruhr-University Bochum in physics in 1994. Prof. Schreyer’s research focuses on the analysis of lightweight materials, biomaterials, and magnetic nanostructures with X-rays and neutrons at large scale facilities. During his career he has been heavily involved with the design, construction and scientific use of scattering and imaging experiments at neutron and synchrotron sources. He has lead the construction of experiments at the Institute Laue Langevin in Grenoble, France, the PETRA III synchrotron storage ring at DESY, Hamburg and the Heinz-Maier-Leibnitz Zentrum in Garching, Germany. He now is responsible for the scientific experiments and infrastructure at the European Spallation Source in Lund, Sweden.